Prayer Rally in Dublin Over Mall Policy Much Ado About Nothing? I just read an article in the about a story that is gaining widespread national media attention with Fox News and Glen Beck both chiming in. 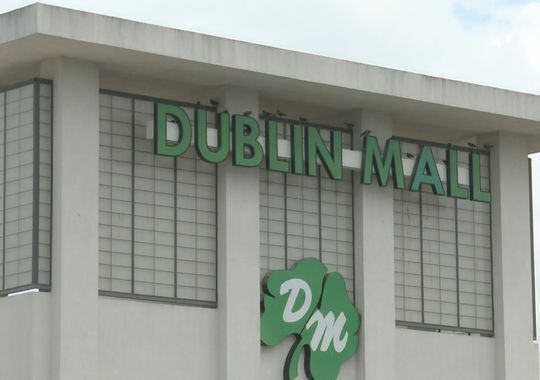 The gist of the story as far as I can tell from reading a few reports is a group of people were praying around 2 weeks ago in the Dublin, Ga mall and a security guard asked them to stop because it was against mall policy. He was not against silent prayer but against them standing as a large group praying out loud disrupting mall traffic. The group of ten people are mall walkers that go by the name Dublin Girls Run. The leader of the group is Tammy Brantley and they have been praying before their walks since around late 2013. This group along with supporters then formed a Facebook page in response since they were not happy with the decision and now plan to hold a rally outside the mall. A minor incident at the mall is rapidly becoming a movement. That seems pretty clear cut to me. Some passages in the Bible are open to various interpretations which is why we have over 100 various denominations of Christianity from Pentecostals, Lutherans, Baptists, Catholics and so many others that disagree on doctrine. But on this point of public prayer Jesus was extremely explicit and there seems little room for misinterpretation regardless of your denomination. I do not mean to offend anyone who may disagree with my view but I do not think this is battle that should be fought. Had the ladies prayed silently in the mall or not formed a large group potentially interfering with other shoppers they would not have violated the mall policy. Let’s not forget that the mall is a place of commerce, and mall walkers use it as a free air-conditioned gym to walk and rarely if ever buy anything beyond perhaps food at the food court on occasion. Many people also forget that it is perfectly fine to pray at school. Silent prayer in school has never been banned nor could it ever be banned. Students and teachers alike can pray as often as they like silently. There was a story two years ago about a complaint over public prayer at a graduation ceremony at Veterans High School in Warner Robins, GA which was also blown out of proportion. What people forget is that freedom of religion in this country is meant to protect all religion’s, not just Christianity. The policy to avoid public vocal prayer in school is actually a safeguard to protect that freedom and fights like these are simply asking for far stricter interpretations and more restrictions not less. You cannot show favoritism over one religion simply because it is the majority or indeed supermajority. If public prayers at school graduation ceremonies as opposed to silent prayers were allowed then why shouldn’t Jews, Muslins, Hindus, Buddhists, and dozens more also get their equal time which would make for an extremely long ceremony. Shouldn’t a graduation ceremony be about the actual graduation? How many of this walker prayer group would feel comfortable if a group of 10 muslims brought prayer rugs into the Dublin mall and prayed to Mecca on their hands and knees. I certainly wouldn’t be comfortable with that and I don’t mind saying so. Nor would I want to walk around a group of 10 Buddhists chanting while I am shopping for shoes. I also don’t want to walk around a group of Christians holding hands reciting the Lord’s Prayer either while I am shopping because I would feel like I am intruding in their space which is not a feeling I should feel at a mall. Americans like to fight wars if you believe pundits. There are wars on poverty, women, Christmas, drugs, obesity, gun rights, you name it… and probably someone is fighting a war against something somewhere in this country at this very moment. But is there actually a war on Christians or this simply fabricated? In my opinion there is absolutely no war on Christians or Christmas either for that matter. Certainly if you are a Christian in countries like North Korea, Iraq, Iran, Saudi Arabia, Syria, and many other trouble spots or intolerant countries there most certainly is a real war complete with bullets and executions of Christians but not here in the U.S. Unfortunately some Christians have developed a persecution complex. They feel they cannot be true Christians unless they are persecuted just like those early martyrs 1,800 years ago. Without lions and coliseums they instead seem to go looking for a fight or persecution where none exist and try to invent it on the spot. That is not surprising since it was Bishop Eusebius from Cesaria that encoded the prominence of martyrdom and persecution into church doctrine so forcefully which may explain these feelings. He was also the first major church historian and is largely why so many modern Christians to this day think all Christians were tortured and persecuted almost non-stop until the Roman empire converted in the early fourth century. That is simply not even close to being true as it was extremely intermittent and ad-hoc. Persecution of Christians certainly occurred, but it was sporadic and had more to do with failure to follow the strict Roman legal code and political insubordination than anything to do with religious heterodoxy. Christians were hardly alone in the coliseums either, dozens of other religions, ethnicities, and groups were also targeted and crucified right along with them. Writers like Justin, Irenaeus, and Tertullian wrote heroic martyr stories that grew gorier by the centuries as there were told and retold and took on a life of their own. The Roman Empire persecuted pretty much everyone depending on who was in charge at the time and Christians were simply one group of many. One could even make a very strong case that Christians were among the least persecuted minorities during that time period. Given that Christians are a supermajority in the U.S. this seems almost irrational to me. Who can resist the mouthwatering appeal of having both the upper hand of power and the righteous indignation of the oppressed? Such persecution mania is dangerous because whenever those in power try and use victimization, it can lead to polemical attacks on others outside that belief system. We are then left with warring camps not unlike the recent conflict with Hamas and Israel where both are convinced they have God on their side. It will not get to that extreme in the U.S. with actual bullets, but it is certainly headed that way with a war of words and TV talking heads looking for viewers. Alan Noble ( A Christian writer and founder of a Christian based website) wrote a very intriguing article which examines this new Evangelical Persecution Complex that seems to have exploded in the last 20 years. He explains what brought it about and why it is dangerous to Christians. I think he makes a very compelling case. Fox seems to be spinning this Dublin Mall story into a war on Christians just like they did with a zoning law dispute in Texas. “Take a recent story covered by CitizenLink, the “public policy partner of Focus on the Family,” a highly influential, socially conservative advocacy group and ministry. The story is about a small Texas church that acquired an old community center in a residential area and turned it into a church and school, which violated local zoning laws. After unsuccessful attempts at changing the zoning laws, the church sued the town on claims of religious discrimination—a community center and Girl Scout camp were allowed in that area, but not a church, they said. When CitizenLink reported on the lawsuit, it framed this as a fight against “anti-religious discrimination.” But the minutes from a local town council show that residents opposed rezoning because they were concerned about the noise and traffic the church and school would bring to their quiet neighborhood. Now I am sure there are incidents of blatant and open hostility and discrimination towards Christians in the United States as there are with all groups, but asking people not to disturb mall traffic is not one of these cases. I am a proud Episcopalian, so I have a hard time understanding the sensitivities of certain Evangelical groups. But I think collectively as Christians we must all be very careful to choose our debates and battles very carefully. Should we really expend our time, energy, and resources over a battle to pray in a mall where silent prayer is already allowed? Imagined offenses and slights should never be allowed to turn into giant media stoked conflagration. When you are on the same side as Glen Beck you might want to reexamine your position. Jesus placed a great deal of importance on humility and spoke at great length about hypocrisy. I am not calling any of this group hypocrites by the way and I am absolutely certain they are doing this rally with the best of intentions. I am simply asking them to consider if this is really a battle that should be fought. I hope I have not offended anyone on either side of the issue since that was not my intent, but I think it is time we all called a cease fire on all these phony wars once and for all. Christians already have equal status and these types of issues appear to suggest we are asking for greater status under the law which is simply wrong. I will leave you with the passages immediately preceding the one I quoted above from Matthew chapter 6 and ask if this isn’t a better way to spend your time instead of at a rally asking for something you can already do. Wouldn’t Jesus prefer you to help the poor or others in need than to join a rally over a mall policy. Update: I decided to edit my article to include a video I just watched this morning from a young man from Dublin who reached much the same conclusion as my article. He also explained a bit about the 1st amendment which I avoided simply because I would have then been forced to write a much longer article. I apologize if your comments are no longer appearing. I was using a Facebook comment plug-in but quite frankly it was slow and had issues so I decided to update to a new commenting format that is much more reliable. It still allows users to log in with Facebook but also allows Google, Twitter, and WordPress log in as well. This is a much faster and more stable comment system but unfortunately there was no way to import old comments. I apologize for any inconvenience. Your old comment should still be available of your own personal Facebook page if you wish to copy and paste it again here. Very good and logical article. I’m like you, Alan, I’m a bit late reading this article.